You are here: Home / Homeschooling / Looking for In-Depth Time4Learning Reviews? Check this out! Looking for In-Depth Time4Learning Reviews? Check this out! I first heard about Time4Learning through my amazing followers on my Facebook Page. They started suggesting it and asked where they could find Time4Learning reviews. I decided to try it out for myself to see what it was all about. This is a complete review that will discuss the user interface, what this online curriculum is and what it has to offer, screen shots, and my final (unbiased and honest) opinion of the program. If you have been considering it or are looking for Time4Learning reviews, let me show you a behind-the-scenes look at what it is like. Before you begin, take a moment and pin this post on your homeschool board for later! 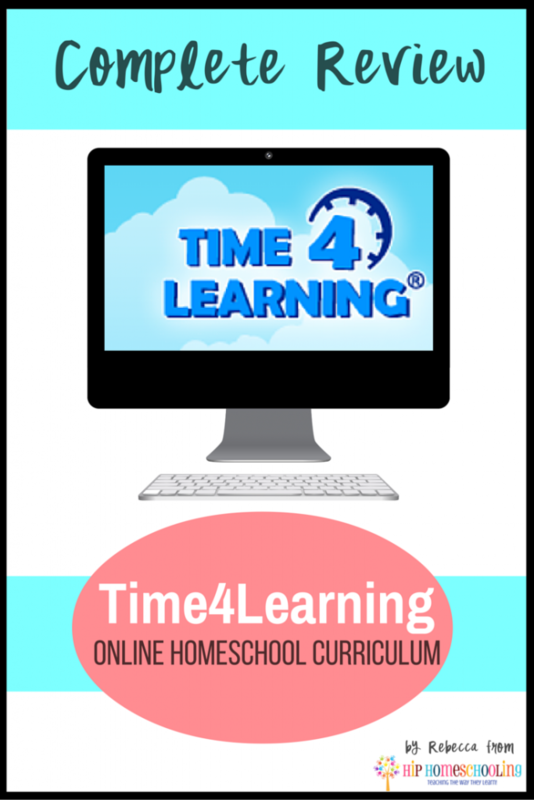 Time4Learning is an online curriculum that is generally used as a complete program or as a supplementary resource. Classes go from preschool all the way up to high school and include a HUGE variety of lessons on all your subjects! For first time homeschoolers who are at a complete loss, Time4Learning is a fantastic starting point! For homeschool parents who are looking for something to switch it up and make learning more interactive, this is a great tool to use! What do you need to use Time4Learning? In order to use Time4Learning you will need access to both an internet connection and a computer or iPad. That’s it! You can download a free app on your iPad called the Puffin Academy App and have access to your Time4Learning membership directly through there. This works great if you have multiple children doing their lessons online and limited computers in your house (like me!). 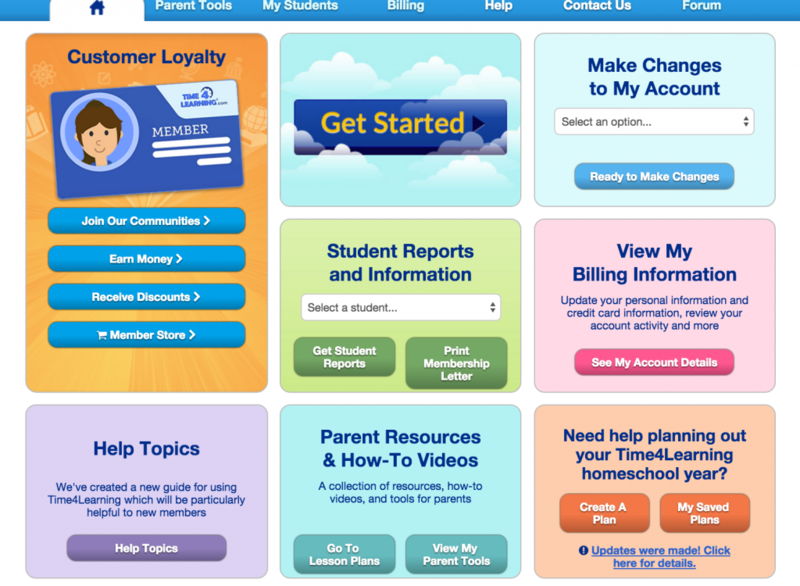 You can also log in on your internet browser and access both your student’s accounts as well as your parent interface online at Time4Learning.com. Time4Learning is $19.99/month for Preschool through Grade 8. Their high school courses run at $30/month with access to 4 courses. The monthly subscription is easy-to-purchase and takes about 5 minutes! You can cancel at any time with no cancellation fees, you are not locked into an agreement so there is very little risk. If you have a large family or would like to use Time4Learning with more than one student, you get a $5 discount on additional children you enrol. Time4Learning Reviews: An inside look. When you hit login on the top right hand side of the page you will be taken to a page with tabs for both student and parent log ins. If you click on the parent login, you will be able to see all of your students listed, create custom student reports, view your billing information and make changes, and even create lesson plans for your children! One of my favorite features in the parent dashboard, is the ability to set time limits for your kids. For example, I can set a limitation that my 8 year old has to do 20 minutes of lessons before he is able to access the playground (full of fun, educational games). Alternatively, I can also set time limits within the playroom (ie. you can only play for 15 minutes before returning to your lessons). This is a fantastic feature if your children are using Time4Learning independently and you want to have a bit of control over their lessons. 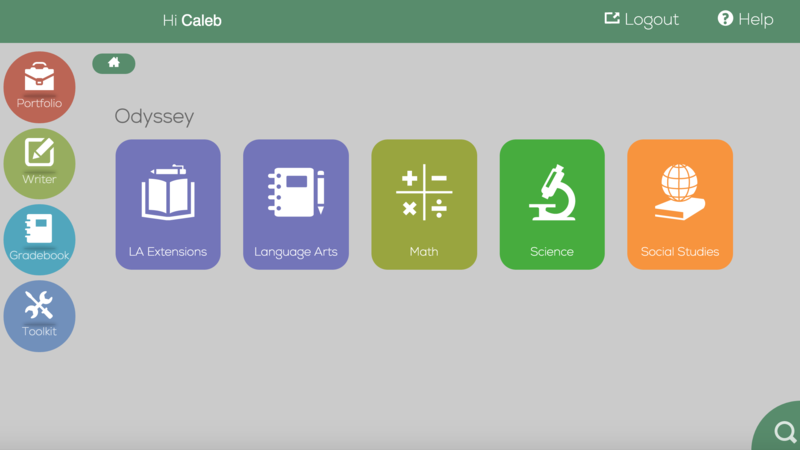 Inside the student dashboard, your children will be able to access the playground, gallery, help videos, and coloring pages as well as all their lessons. Once they click on “Start My Lessons” the timer will automatically begin in the top ride hand side. They can choose how they want to view their lessons and choose which subject or topic they want to learn about (unless you have set out some lesson plans you would like them to follow). Students have access to both the grade level above them and the grade level below them, which allows for a huge range of flexibility to meet their needs. You can have them working in grade 2 math, grade 3 writing and grade 4 social studies! 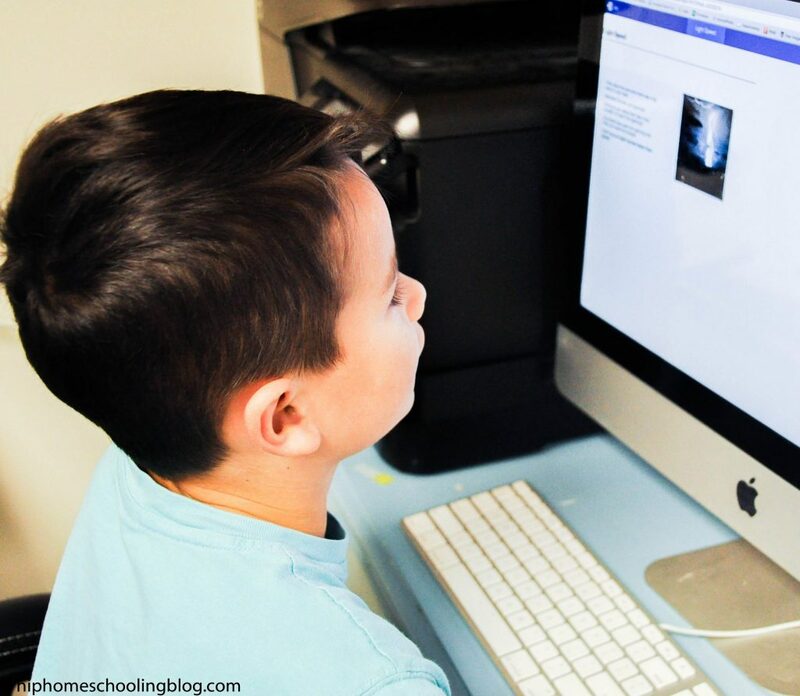 Time4Learning Reviews: The Final Word from Hip Homeschooling. Overall I was really impressed with Time4Learning. I think it takes a lot of pressure and stress off the shoulders of new homeschoolers who just don’t know where to start. It is affordable, bright, fun, and engaging and my children all loved it (highly preferred it over their textbooks). 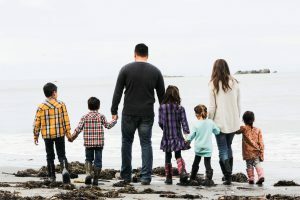 If you are a regular follower, you will know that the greatest challenge I face when homeschooling 5 children, is trying to split myself 5 directions to meet all their needs. ANYTHING that facilitates independent study is a win in this house! My preschooler thrived with Time4Learning. She completed the entire first level within a matter of a few weeks and harassed me continuously to do her “school”. Since completing the first level, she is much more familiar with her alphabet, numbers, colors and shapes and I didn’t have to sit down and do it all with her. Of all my children, she enjoyed Time4Learning the most, and it was the greatest help to me to be able to set her up on the computer and have some quiet time to work with the older children. If you have a preschool or kindergartener, I HIGHLY recommend Time4Learning. The lessons are all stories, fun videos, matching games and more and the interface is REALLY easy for them to use on their own. My 8 year old worked in the grade 3 lessons and he really enjoyed switching up his regular bookwork with something a little more interactive. He is an auditory learner so any sort of videos or online games work really well with his learning style. He found some of the lessons a little dry, with long paragraphs to read before taking a test. I think if the lessons themselves had been more interactive he would have enjoyed it more. Even just having someone read it off to him along with some animations would have helped it stick a little more. For him, the best feature of the program was the ability to set up a reward system with the playground. He would do any amount of work to have access to the games for a set time and despite the fact that some of the lessons were a bit boring to him, he never complained! It was far better than doing a workbook on his own. The novelty of using a computer or iPad is often enough to make something a little more exciting to our children. Would I buy Time4Learning next year? The best indication of a product is whether or not I would put my money where my mouth is, is it not? I would purchase the program again for my preschooler in a heartbeat. 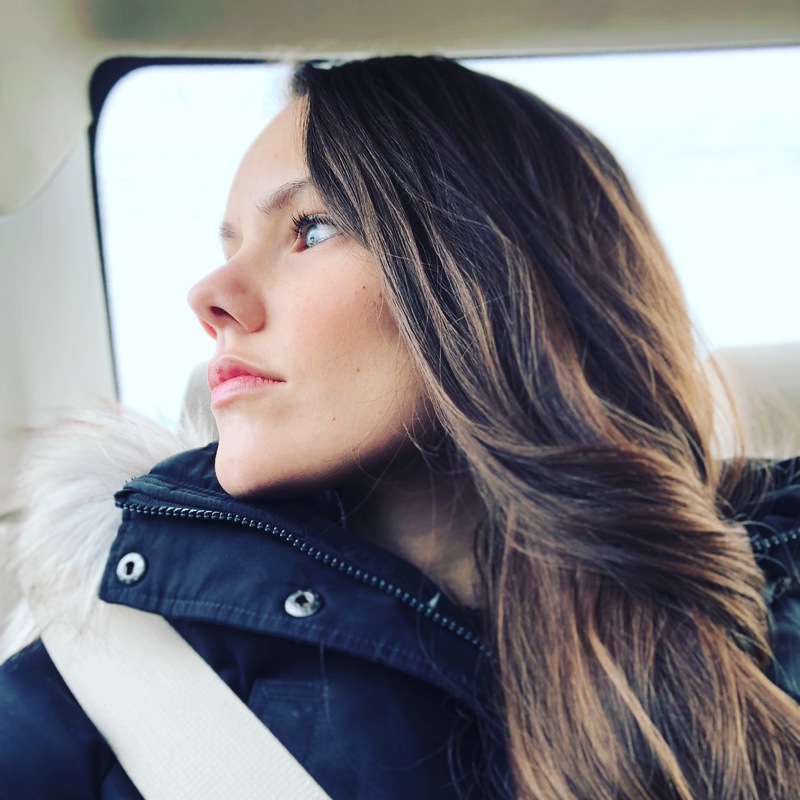 I spent more than $20 a month in curriculum for her but just don’t have the time to sit and do the amount of school she wants to do with me while still teaching my older students and caring for Tornado Toddler. She loved every minute of it and it freed me up immensely = well worth every penny! I may purchase a few months of Time4Learning for my older children again if I feel we need to supplement some of our core subjects or as a reward for doing really well in their school work. I think it would be a great change of gears for summer lessons and may end up doing that for all of the kids through the summer to still keep learning actively involved in our day while taking a break from our workbooks. If you are looking for more Time4Learning reviews or would like to try their demos, head on over to the website HERE. 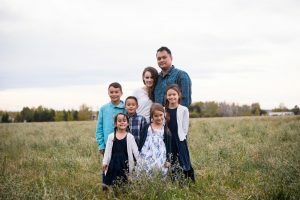 You can also find them on Facebook, Twitter, and Pinterest if you are looking to connect with them on social media. Got more questions about Time4Learning? Post them below and I’ll answer you ASAP! I think Time4Learning sounds great. Our kids are in public school, but I think having this as a supplement to their school curriculum is absolutely worth the price. Thanks so much for sharing this. I’ve never heard of this program, but it sounds promising for those who can get their hands on it as an extra practice type thing for kids! I am android *cries* but this is great for learning and i am always looking to make sure my kids keep up with the latest in learning. I’ve been thinking about homeschooling but then I get so nervous! This looks like it would be a great resource for anyone that is starting or doing it. Passing on to a friend that homeschools! As my daughter gets older, I’m continuing to research homeschool options. I prefer traditional books and writing but these online programs look promising. I may purchase a pre-K set to see. My kids are ages 1 and 3 and I keep thinkin that I am going to home school them. I am still debating. Either way this would be a great tool to have for them. I wish we’d had programs like this when my kid was in school. You have done a very helpful review, and a thorough investigation! Your daughter is adorable. I admire anyone who takes on the committment of home schooling. Thank you for this great review! We’ve actually been considering trying Time for Learning out to see if it would be a good fit for our visual spatial 8 year old. This program takes home schooling to the next level. Seem like a great tool to ensure children are meeting all requirements and having fun while doing so! Nice that it has a practical price as well. 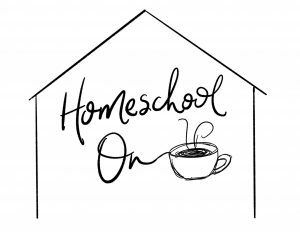 This looks like a great program and resource for those who are homeschooling. It really helps to see a cool and user-friendly interface for learning. The price for value is quite fair. Monthly subscription is so fast and easy! That seems like a great program. I don’t have kids, but when I do, I will want to make sure that they stay ahead and it seems like interactive programs like this will be the way to go. Just my experience: I am very unhappy with Time4Learning. I was charged for an add-on that I didn’t order (this has happened to several others) and then by the time I caught the charge on my bank statement, their 14 day refund period had passed. I brought this up with them and told them I didn’t order the program because my daughter is not ready for Foreign Language and this was not an add on I was interested in. In addition to that, I know what I ordered and did not order. Just looking at my account, it’s clear we didn’t even use it; I didn’t even know we had it. On top of this, I am not impressed with the structure of the lessons at all. My daughter has not learned very much. It’s very basic. There are many free options that work more effectively that this. 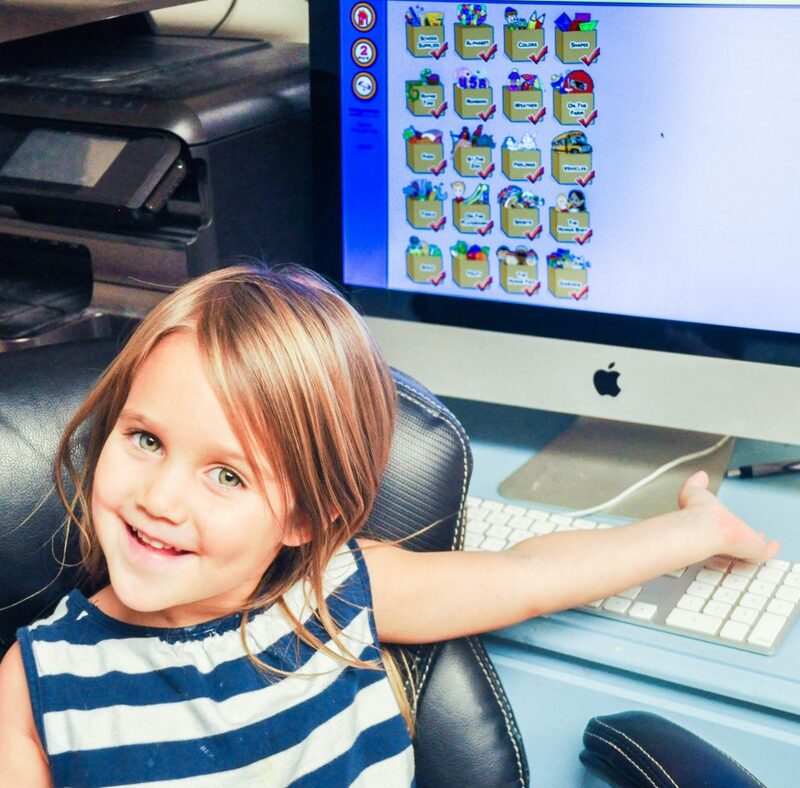 I used time for learning to supplement my oldest the summer between 1st and 2nd grade. He struggled in 1st and I truly think using T4L really helped him blossom in 2nd grade. His teachers were impressed. Now he’s in 7th grade and tests above grade level in some subjects, and is an honor roll student. 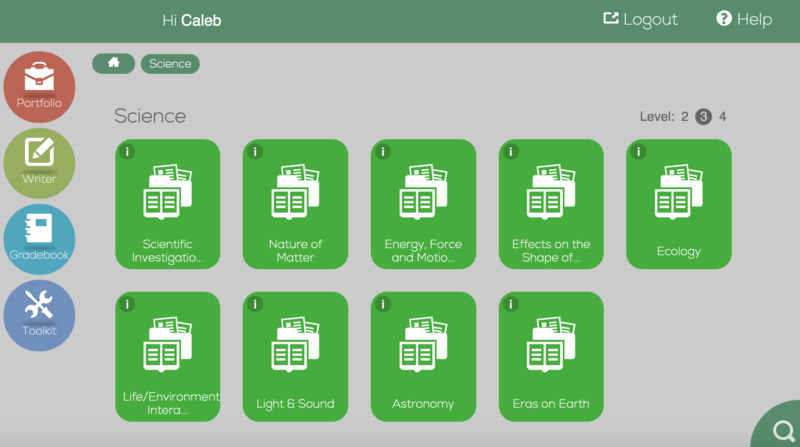 I recently started using T4L for my 3rd grader who is home schooled. The math and language arts courses are great, but we do our own thing for History and Social studies as those are a little dry. 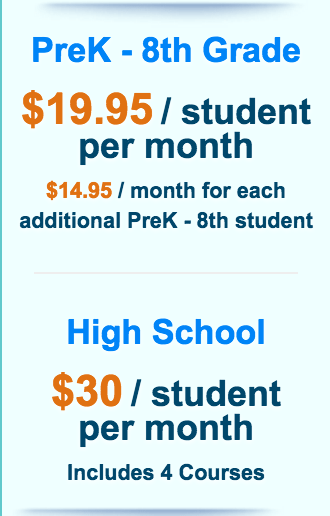 I haven’t used it for my preschooler, but we have a Starfall membership (I believe it was $35 a year) for pre-k and it goes up to 2nd. We are pleased with both programs.